Can the U.S. tell when its assistance in planning an operation, or whether its weapons are being used, impacted specific strikes? During a recent interview with Defense News, Lt. Gen. Jeffrey Harrigian, the outgoing head of U.S. Air Forces Central Command, acknowledged that the issue of tracking weapons needs to be addressed for lawmakers. But he stressed that the complicated nature of these strikes means getting clarity on these issues will take time. “As you peel the onion back, where is the U.S. involvement? I think that's what at the higher levels they're working through right now to try to sort that out in terms of how much, as you look into this, can we fully understand,” Harrigian said. “Depending upon where you're talking about in the specifics of uncovering or discovering a target, to when a weapon is dropped, if you were to dig in, there's going to be some areas that it will be crystal clear where we're not involved at all,” Harrigian added. 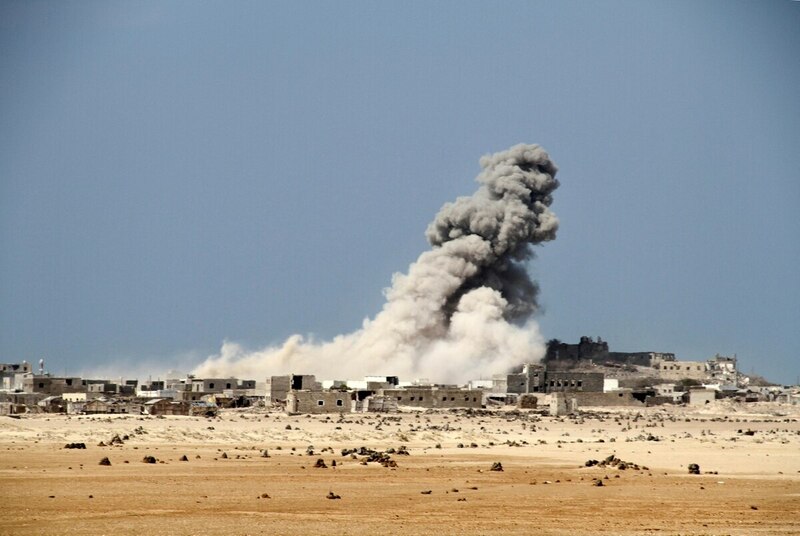 The issue of how the Saudi-led coalition is using American arms and assistance for its airstrikes in Yemen reemerged as an issue earlier this month, following a strike that reportedly killed 51 innocent people, 40 of them children. On Monday, CNN reported that U.S. officials have issued a warning to Saudi Arabia that America is prepared to reduce its support for the Yemen campaign, both militarily and in terms of intelligence, if the Gulf power does not show it is taking steps to avoid civilian casualties in the future. On Capitol Hill, there is mounting pressure to account for U.S. aid to the Saudi-led bombing campaign, given the growing toll of civilian casualties. However, the Senate’s Republican leadership last week rejected an amendment to the chamber’s defense appropriations bill to cut off U.S. support. The amendment, from Sen. Chris Murphy, D-Conn., would have made American support contingent on the U.S. defense secretary certifying the coalition air campaign is not violating international law and U.S. policy related to the protection of civilians. Murphy cited United Nations data: Up to one-third of all Saudi-led coalition airstrikes hit civilian targets. Data shows there has been a 37 percent increase in civilian casualties from airstrikes in 2018 compared to 2017, up to 778 from 567. To those who question the U.S. involvement in Yemen, Harrigian points out that al-Qaida in the Arabian Peninsula continues to operate out of the region — and argued that the militant group remains a “pretty significant threat” to the American public. “It’s important we keep a lid on that and keep an understanding of what’s going on down there so that we preclude any type of attack making its way back to the homeland,” he said.